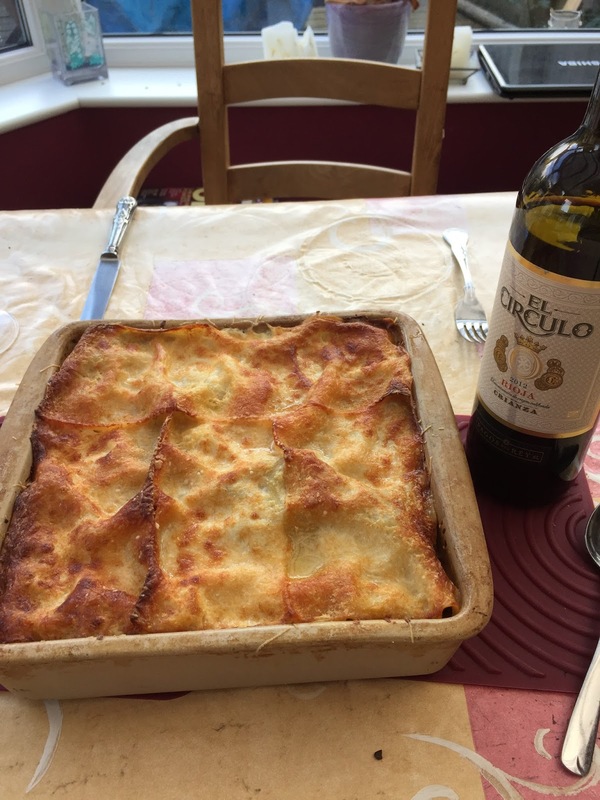 Lasagne is a favourite with a lot of people including our family. Being a tad lazy I usually just throw it together with my quick fire bolognaise sauce which I have perfected to about 10 minutes preparation and then simmering till required for spaghetti or as a lasagne filling. Sometimes however it is nice to spend some time and really develop the recipe. This is not a quick fix for a week night tea. It takes a seriously long time to prepare and cook the elements before even considering the putting together and final cooking. The final dish is most certainly worth the effort and the dish does not hang around long in our household. 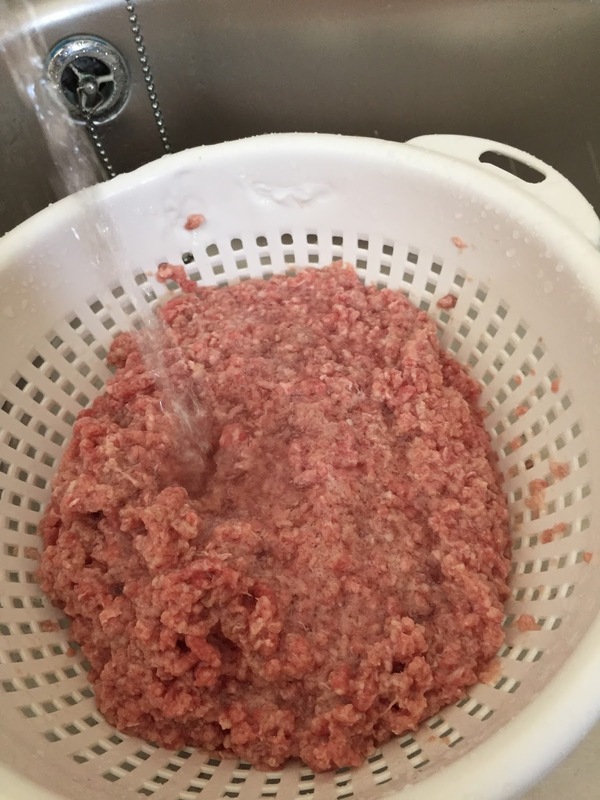 It might seem a strange start but wash your mince through in a colander – it helps break up the strands and allows each bit to cook and become crispy. Prepare the tomatoes. When investing the time and effort in a meal like this it is worth getting good tomatoes (and good quality mince if you can). 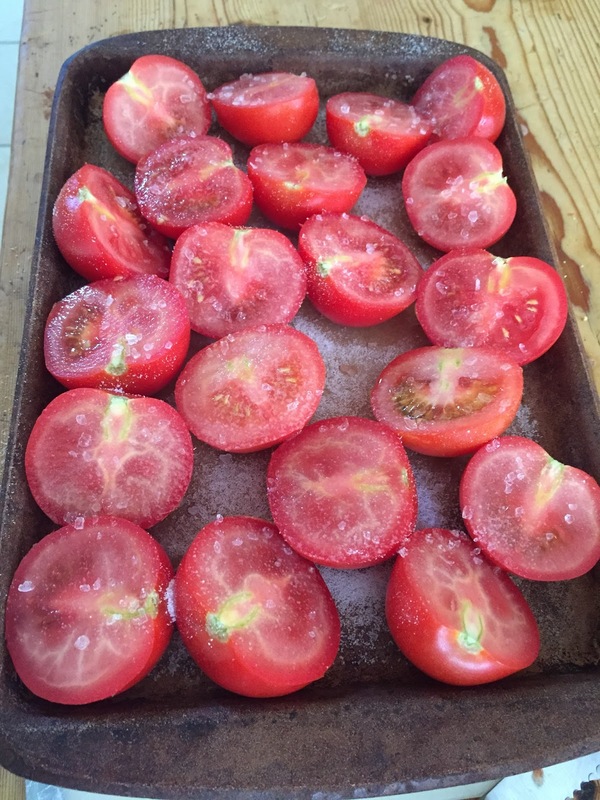 Cut the tomatoes in half and lay on another baking tray. 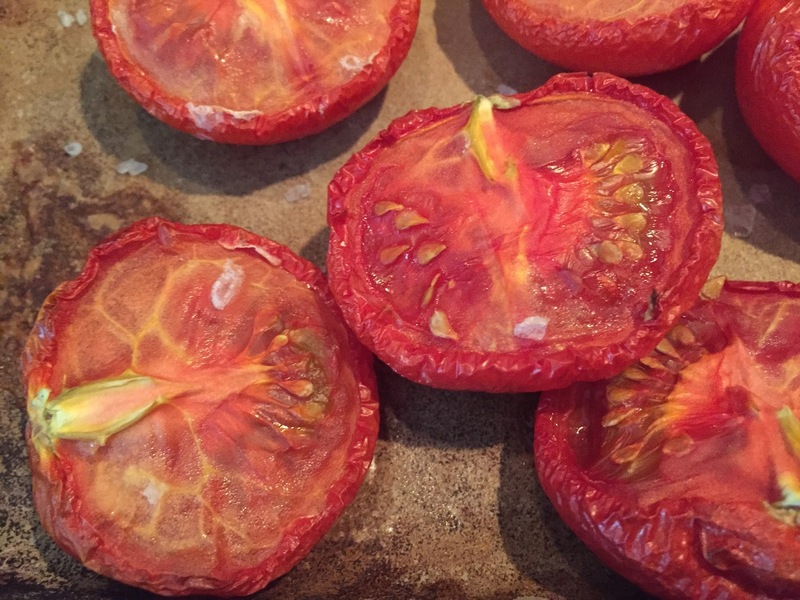 Sprinkle with salt and sugar; these both bring different qualities of taste to the forefront and transform a good tomato sauce into a fantastic one. Cook in the oven for 20 minutes or until they are charred and very soft – this may take longer if they are at the same heat as the mince. 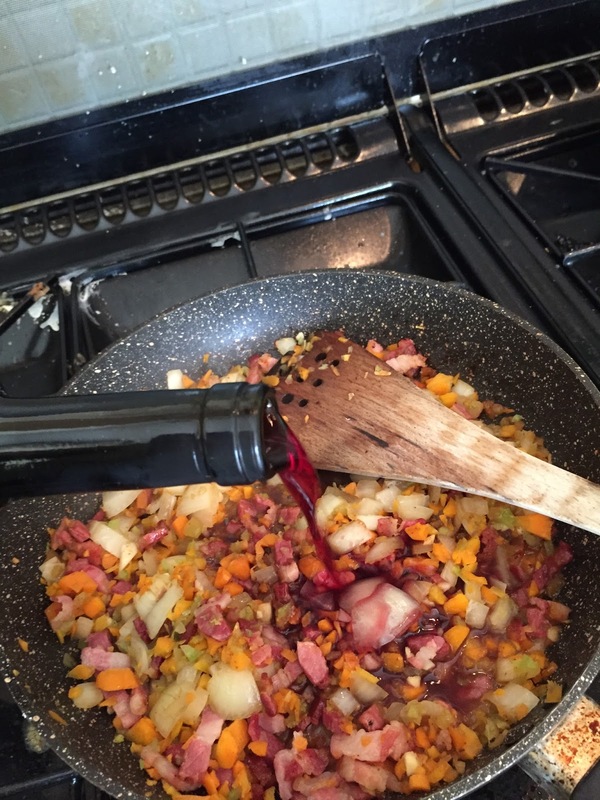 Cover the mix with a large spoonful of sugar followed by a good slug of Red Wine Vinegar. These work as a great combination together. Follow with a large glassful of Red Wine. Heat through allowing the liquid to be soaked up by the vegetables. 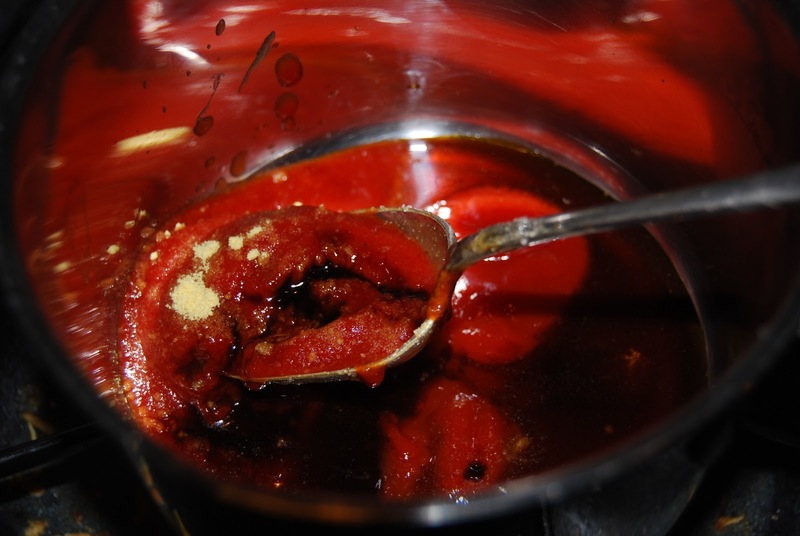 If the tomatoes are not ready, remove the mix from heat and let the flavours marry together in a fusion of hits and delicious blends. 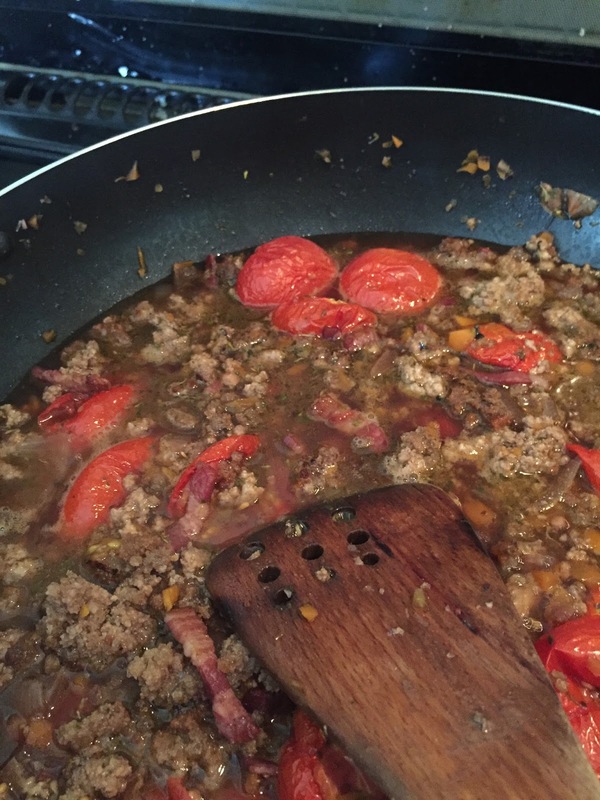 When the tomatoes are soft and charred add beef stock to the mix with the mince and tomatoes, also add the herbs. Italian herbs are great, or a mixture of oregano, rosemary and thyme. My mother always added a couple of bay leaves to any Italian dish and I follow the tradition popping them in now. 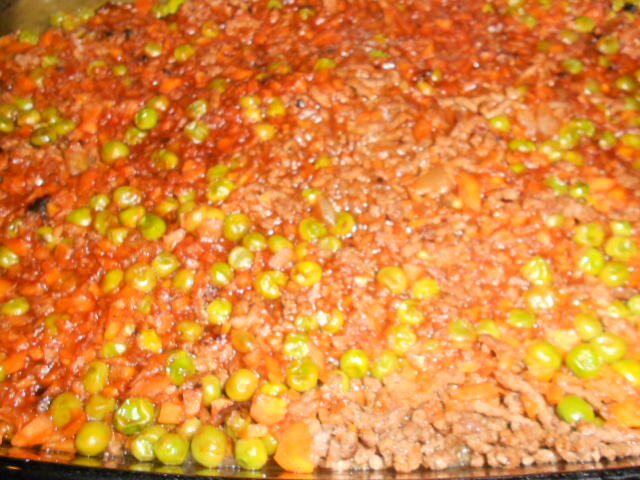 Let the mixture bubble away for a while before layering with pasta sheets. 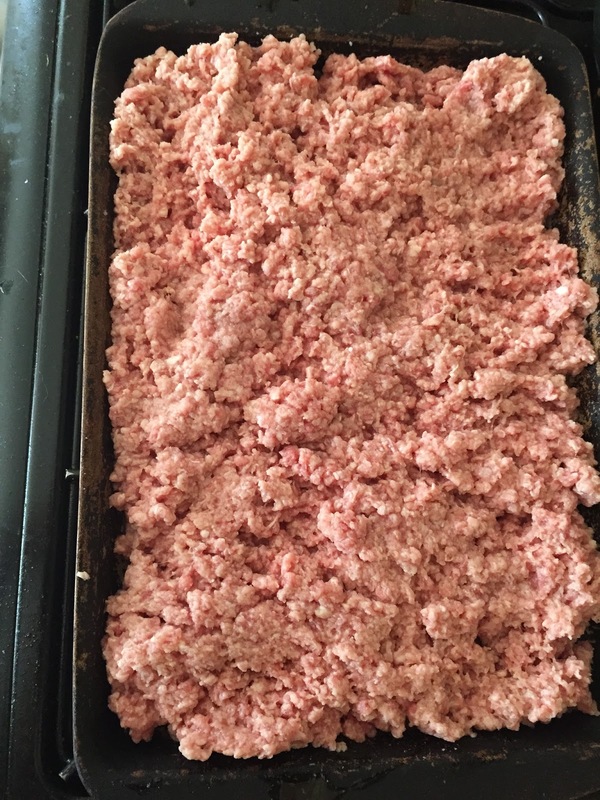 There needs to be some juice still in the mix but not too much as it will seep out during the baking process. Layer pasta, sauce, pasta sauce, finish with a layer of pasta. 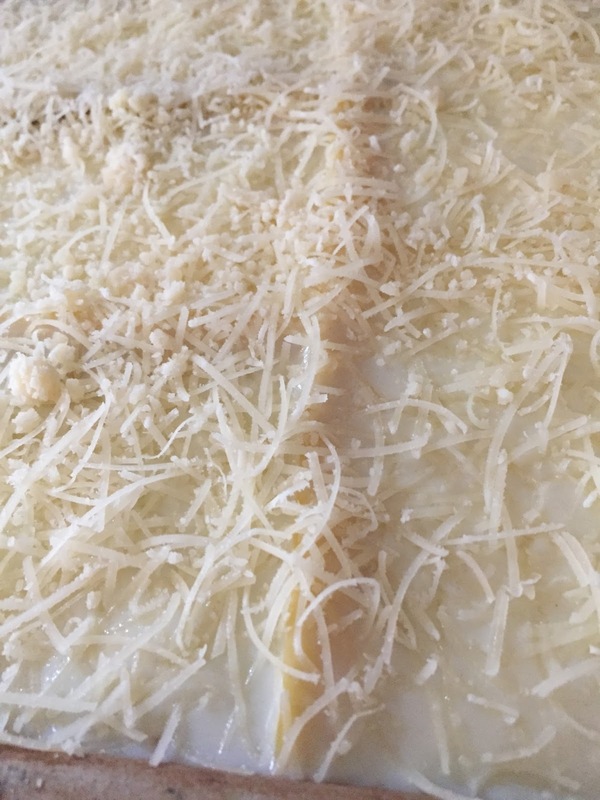 Top the lasagne off with a layer of white sauce (I don’t add any cheese yet) which I had also added a sprinkling of mustard powder to add depth to the sauce. 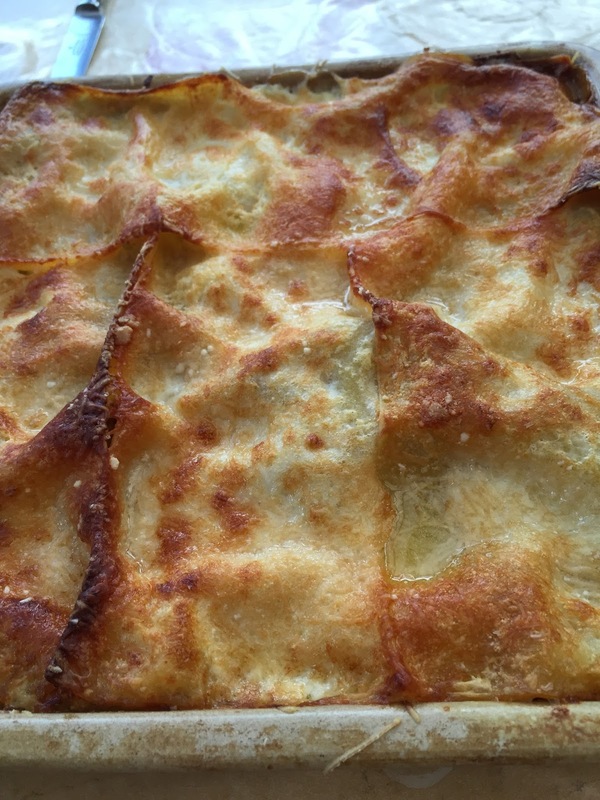 I like to let the white sauce cool slightly before pouring over the top of the lasagne. Then finish with lots of grated Parmesan cheese. 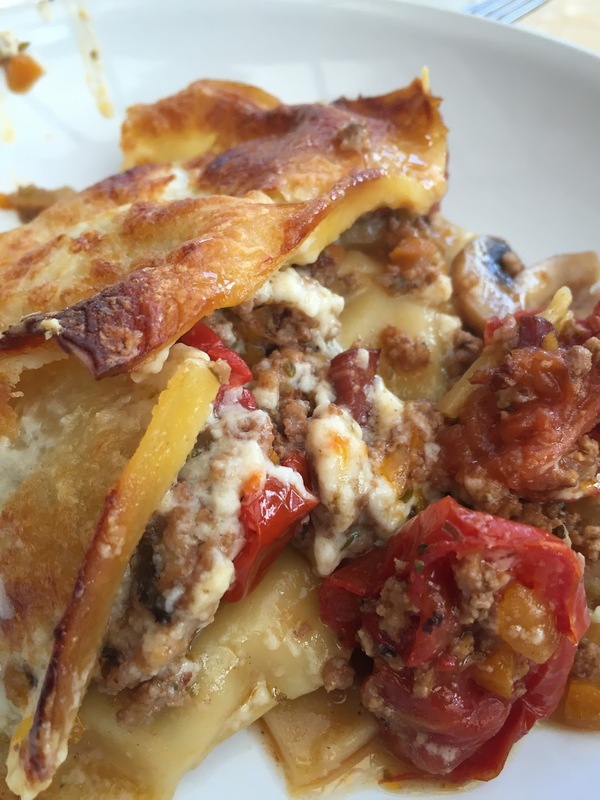 This is one recipe where it is worth getting the real cheese and grating over. 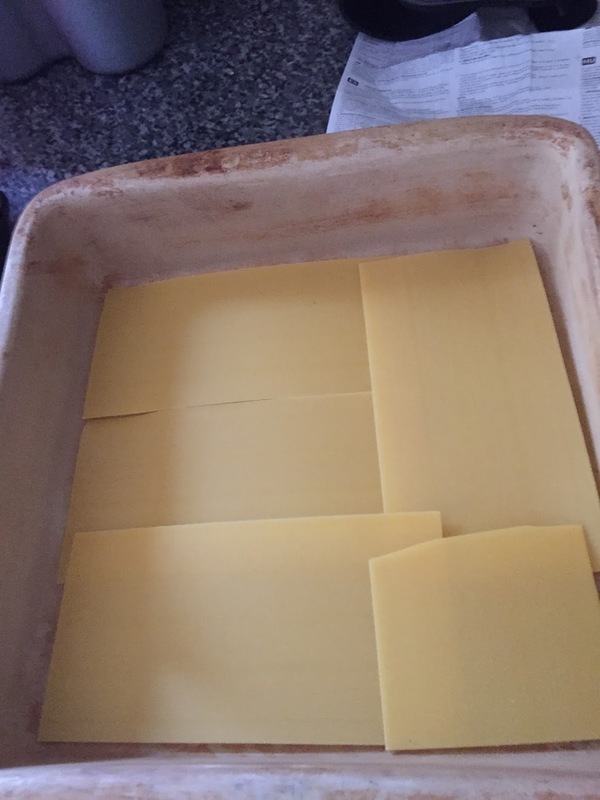 Remember though, Parmesan is strong so you may need less than you think. It is your choice how you serve this, garlic bread, green salad, glass of red wine or even chips but the dish can hold it’s own in the centre of your table. Enjoy and let me know the occasion you might serve this dish. The wait is certainly worth it but I say again this is not for a speedy supper, so enjoy the meal. 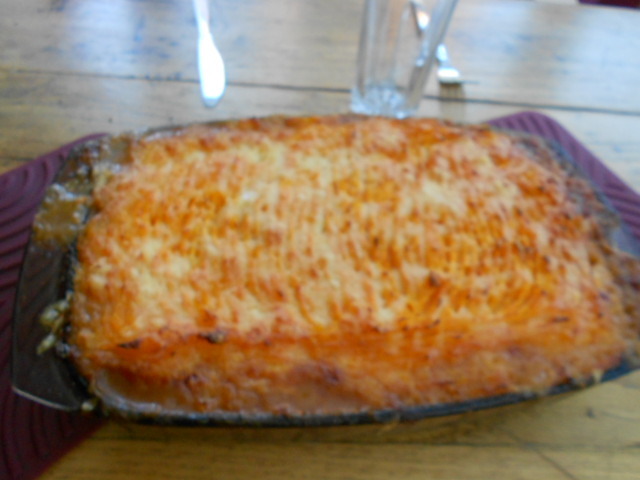 I wanted some variation with my usual shepherds pie but it had to be similar enough that no-one noticed. They actually did notice but they also loved this variation that I produced. 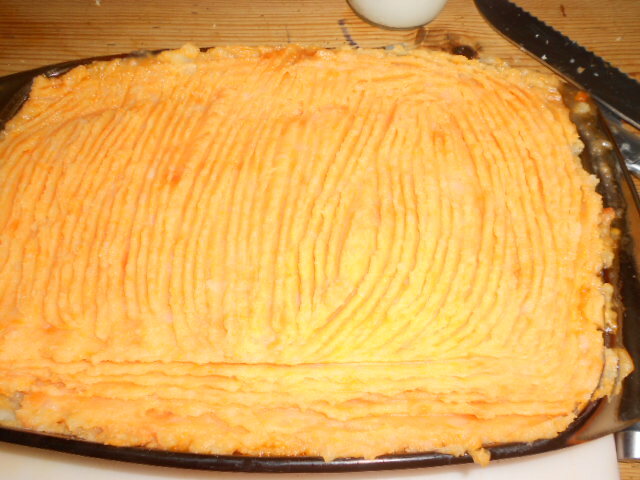 Potatoes mashed – I had half a yam left so added this in which sweetened the mash. 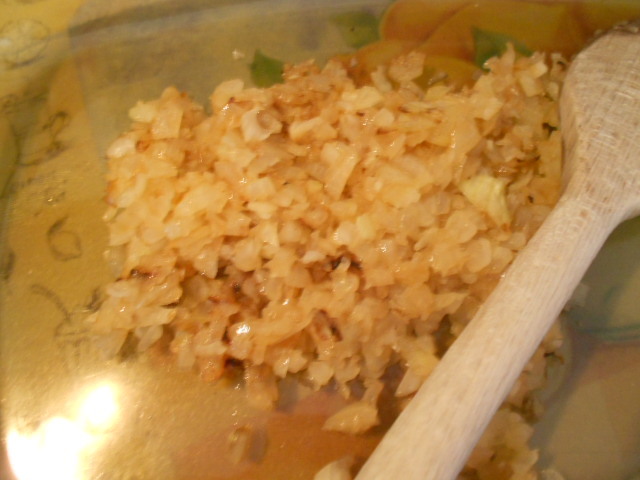 Add the onions and fry gently, removing when soft and beginning to caramelise. Line the serving dish. 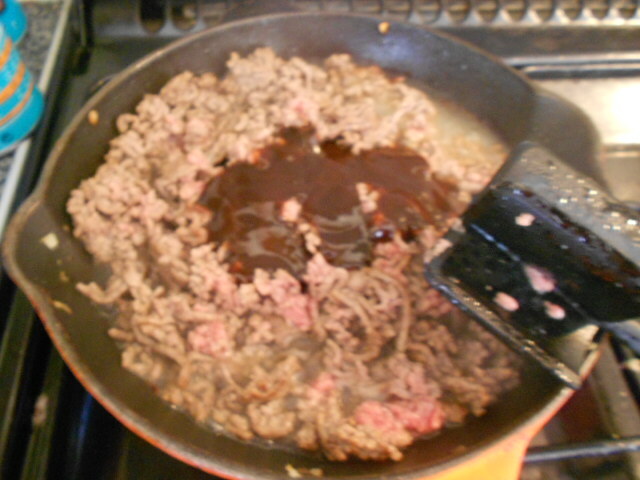 In the same pan, fry the meat till it is browned all over, then add a good dollop of brown sauce, Mix well then add to the onions. 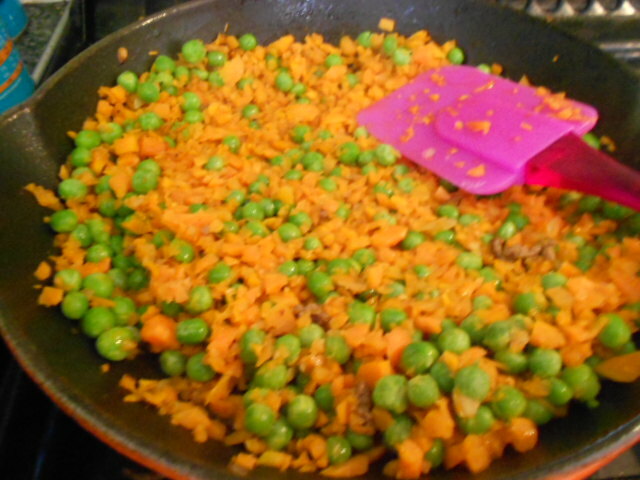 Without cleaning the pan, drain it if there is excessive fat; add the carrots to begin cooking after a few minutes add the frozen peas and mix well. 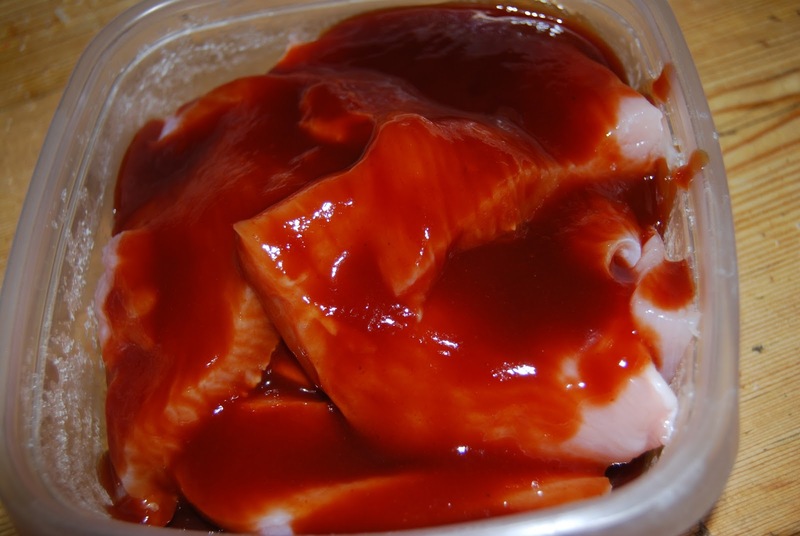 Add another good dollop but this time of tomato sauce and mix well. 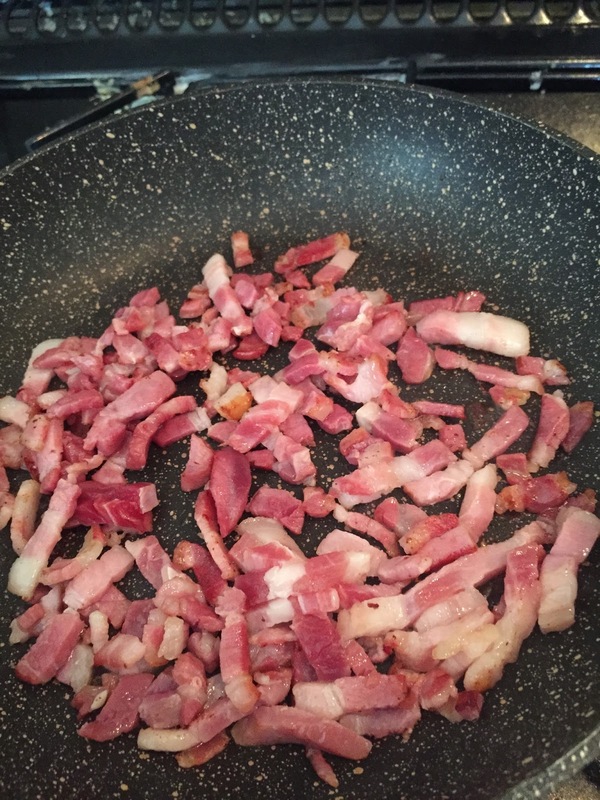 Layer this above the onion and meat. If it has become very dry add a few millimetres of boiled water to keep it moist whilst cooking. While all this is going on have the potatoes on and boiling so they can be mashed with butter and milk. You will have your own method of making the perfect mash for your family. 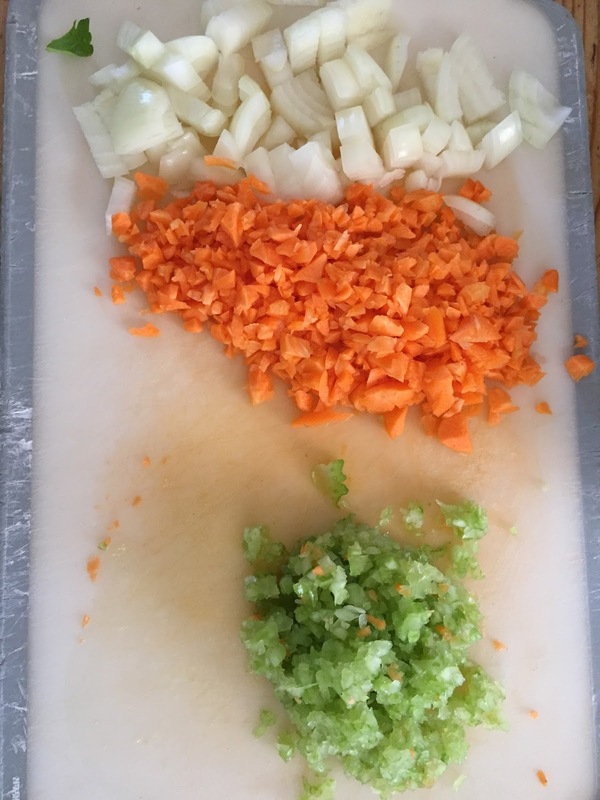 Layer this on top of the carrot and pea mix. 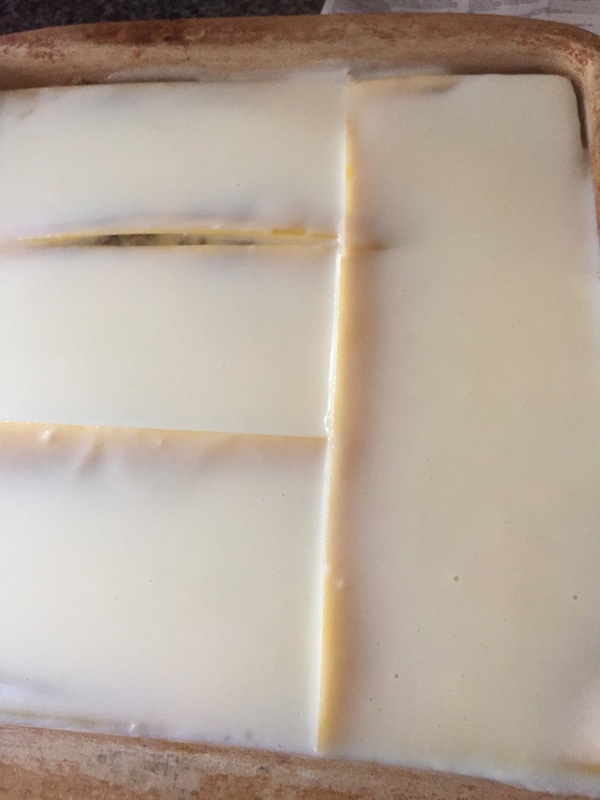 Sprinkle liberally with cheese and put in a high pre-heated oven for about 25 minutes until the mixture is clearly bubbling and the cheese on top is turning a golden brown. Serve piping hot with a salad or further bright coloured vegetables. 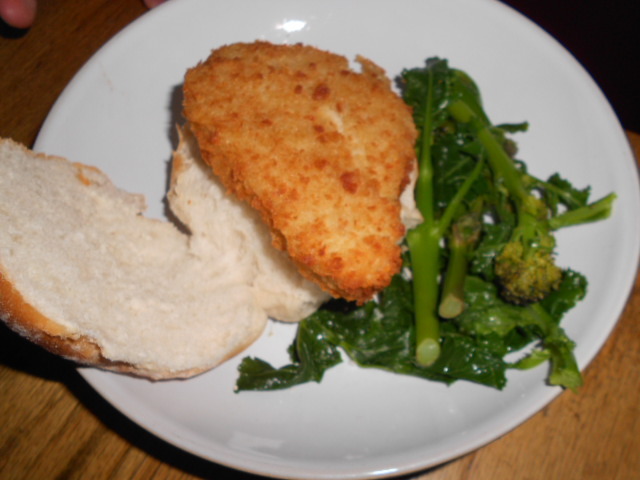 This is a great pre-prepared dish that can sit ready and waiting till you are ready to cook when you get in from the school run or work. It works very well for a cosy supper dish with relaxed friends that can be organised before they arrive and then cooked when needed. 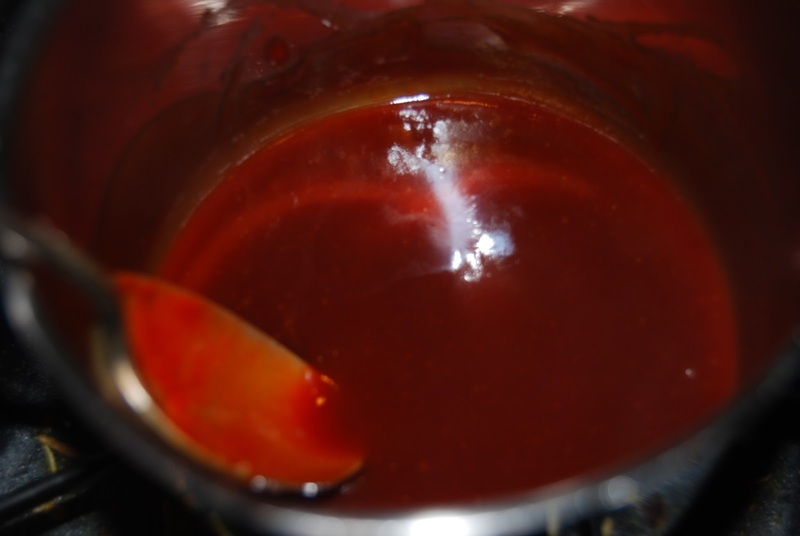 Spice it up by swapping the brown sauce for Worcestershire Sauce or add a chopped chilli to the meat. let me know what you try and enjoy. This is just the easiest meal in the world to prepare and serve. The boys love it and there is often a fight for the last piece of chicken around our table. 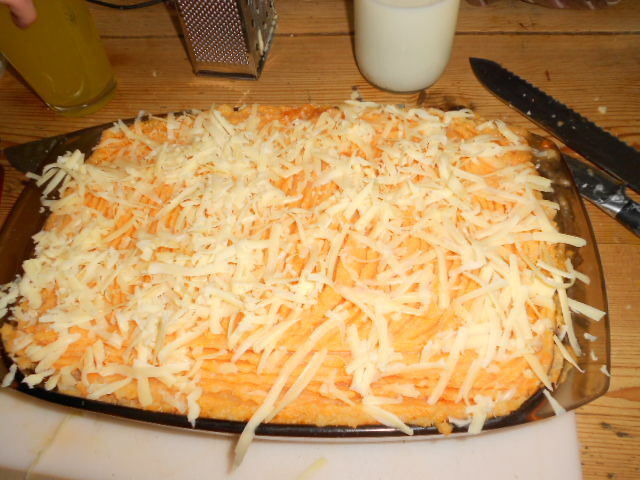 This is also a great party food with children’s friends coming round to tea. This may not be the healthiest of meals for them but as an occasional treat is quick, easy and you can add nutritional sides. 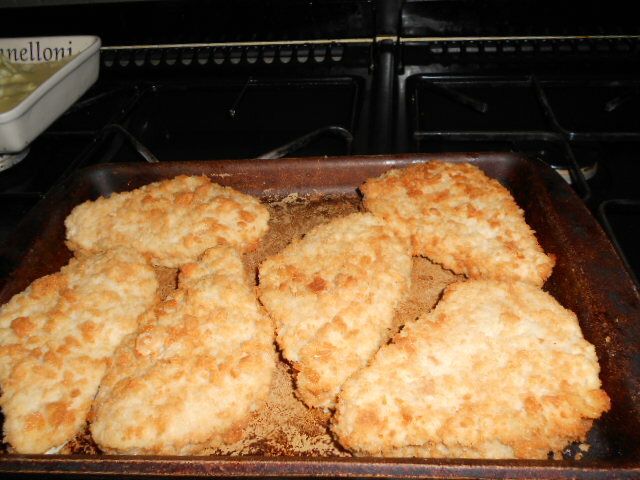 Cook the chicken in the oven till it is cooked through and ready. Serve to hungry and very appreciative family. I served with a fennel and spinach gratin and buttery broccoli. I also used up some home made Beetroot chutney. 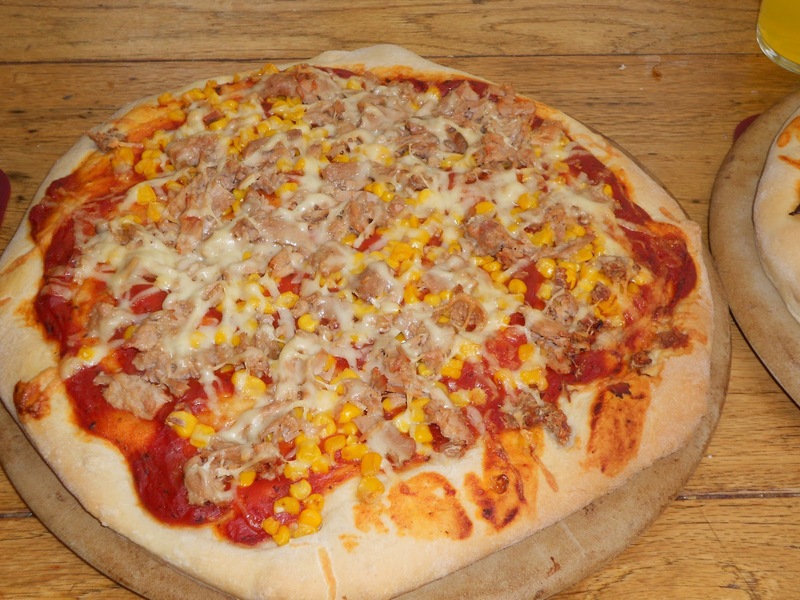 Baked beans and sweetcorn would add vibrancy or coleslaw for crunch. French fries would go well, and as a party food serve some carrot sticks and cherry tomatoes. 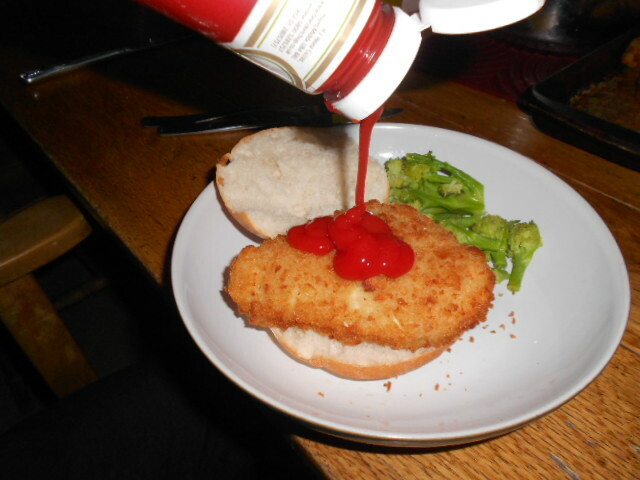 Tomato ketchup is a must. With the last piece (only 5 in our family), I cut the cold cooked chicken up into thin slices and added Mayonaise, spinach and chutney and put in my husband’s sandwiches the next day. Who said you can get to a man through his stomach.! 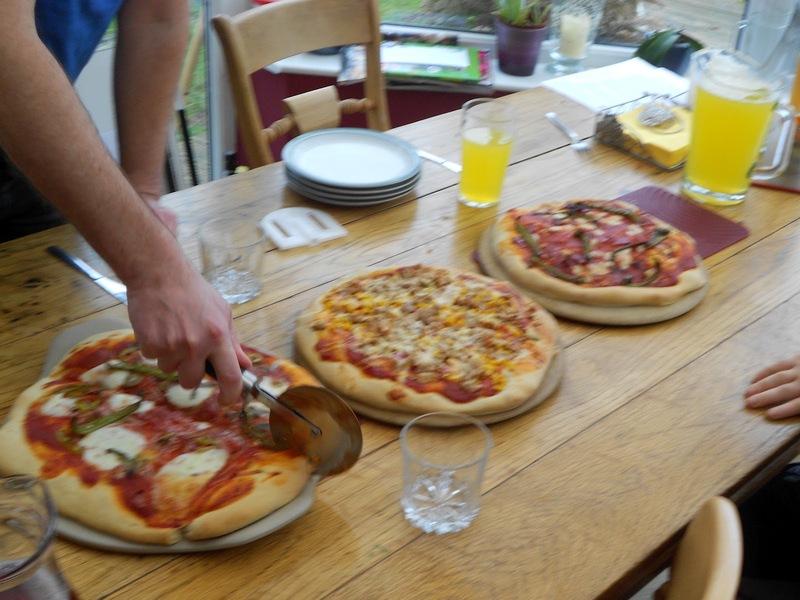 We like all families love Pizza but it becomes expensive to take a family of five out to a well known chain and have them cater for all our different tastes. Occasionally instead of baking bread for lunch on a Saturday I will make pizza dough and then I can fill it with whatever I wish. This is not a quick grab it and go like a bought one might be, this takes time especially if like me you make your own pizza dough. I love the fact that I have control over what goes on and vegetables can be disguised easily for younger selective taste buds. 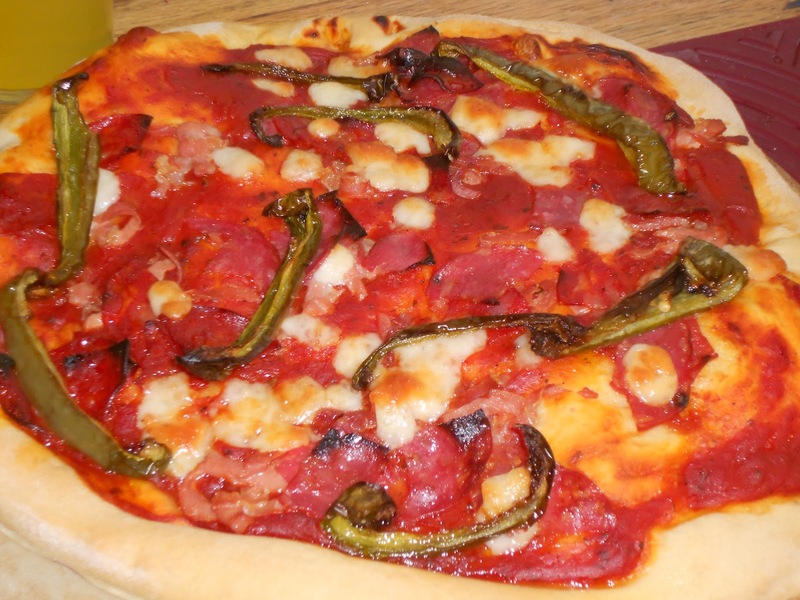 Spread the base with tomato sauce, quite thinly really so as not to lose the other flavours. Then pick and choose which topping you want. Add them liberally according to taste. 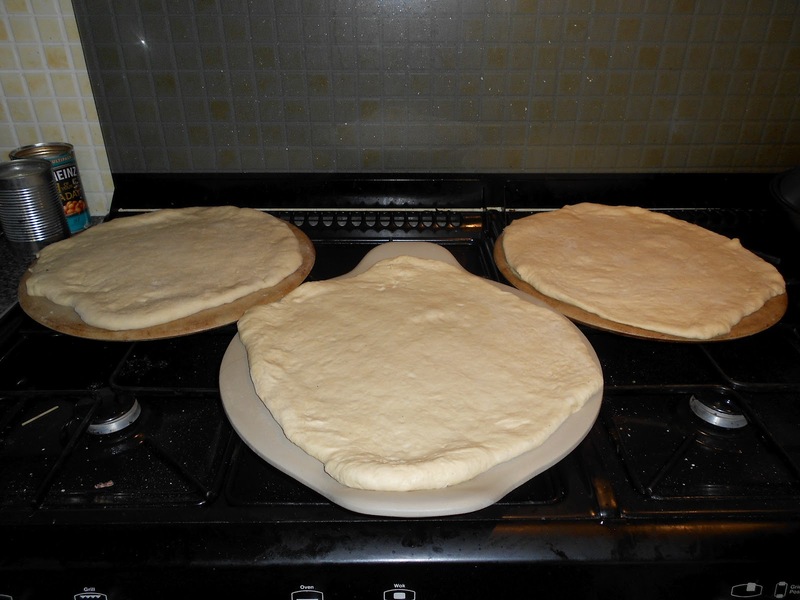 Add to a hot oven 200°c and let them cook for about 25 – 30 minutes checking regularly especially towards the end. You will know they are nearly ready when the house fills with the glorious warm aroma enticing you back into the kitchen. Let me know what different toppings you add to yours. 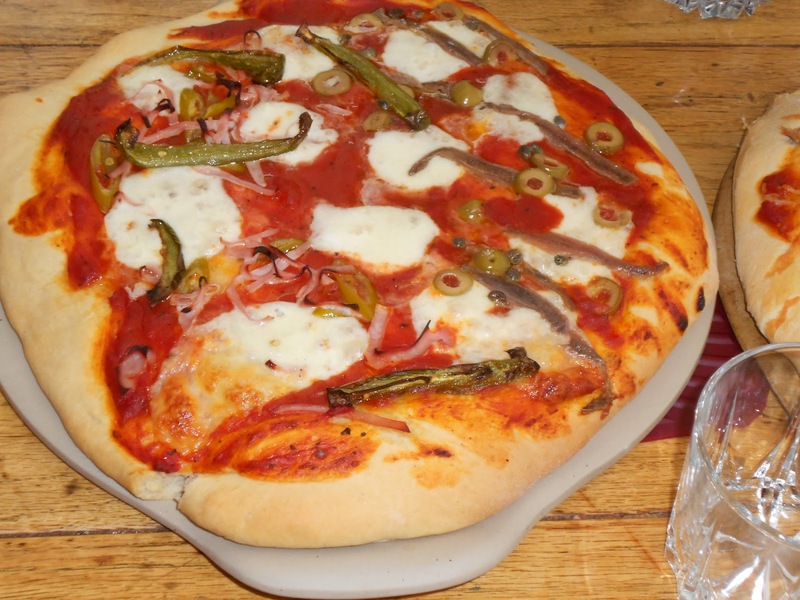 This came about because I wanted to make something the children would enjoy as we were going out for dinner. It became an instant hit and is now requested whenever I say we are going out. 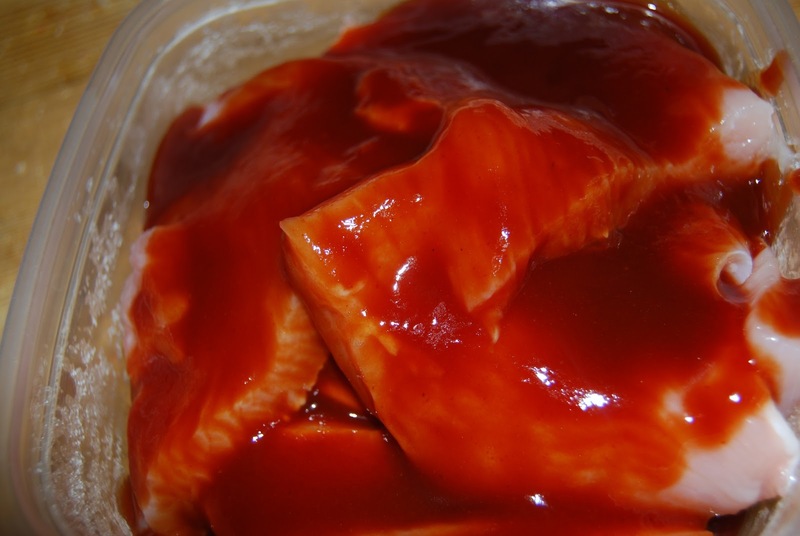 It is so quick and easy that it really is a cheat’s meal that goes down so well. 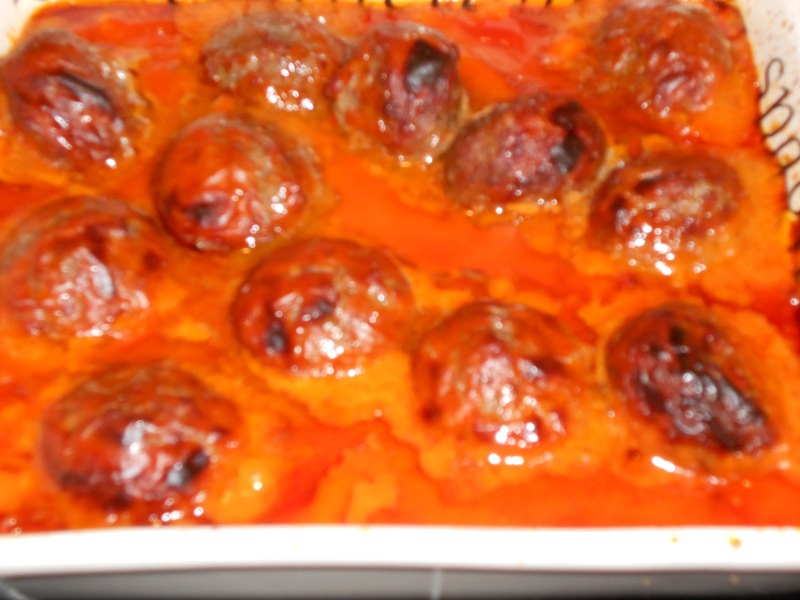 Tip the meatballs into an oven proof dish, cover with the soup and add a squeeze of tomato sauce. Stir and add to a pre-heated oven for 25 mins. 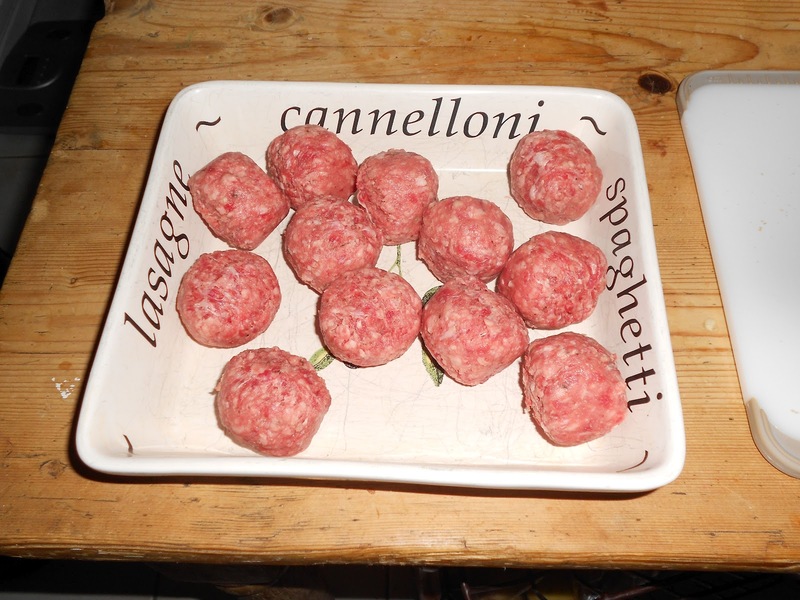 Check a couple of times and just turn the meatballs over. Serve with pasta and bright vibrant peas or sweetcorn; you have an instant hit. 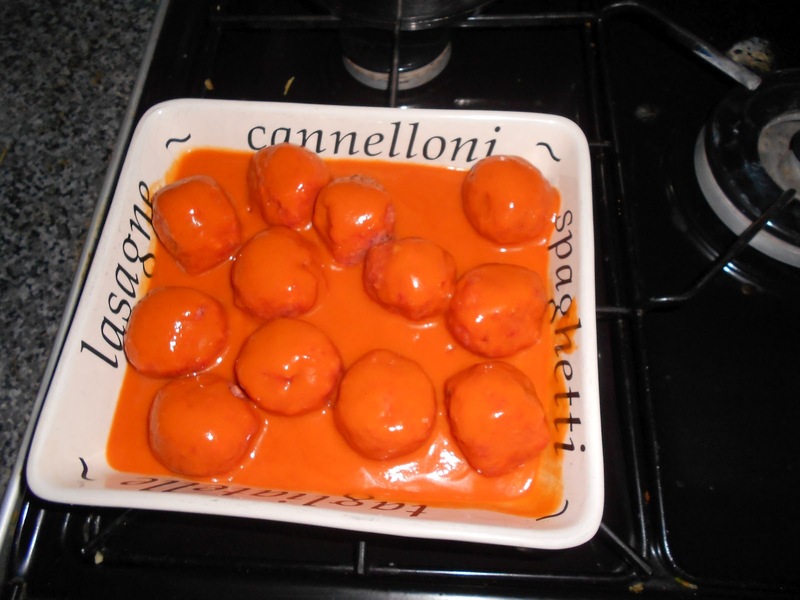 If using spaghetti run it through the meatballs or tip them into the pan and coat generously with the sauce. Try it out on your little ones and let me know what they think.